Jill Made It: Happy Halloween! I know Halloween isn't really a tradition-filled holiday (not like Christmas! 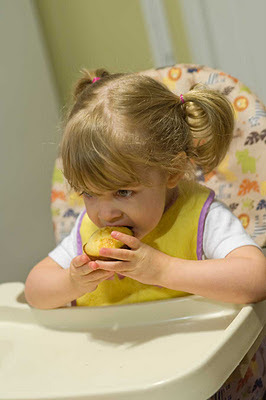 ), but we do have a couple of family Halloween traditions that we love. From my husband's side of the family, we have the tradition of always having chili for dinner on Halloween. 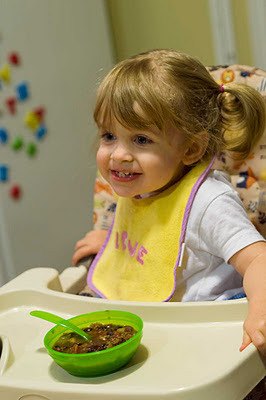 This tradition goes back to Mr. MadeIt's grandparents, so it's fun to continue that tradition in our family. 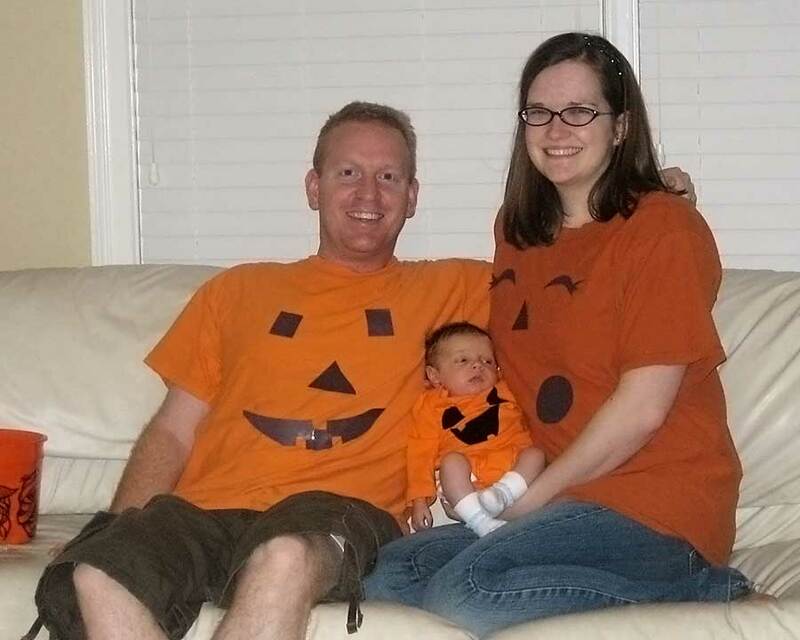 And from my side, we have the tradition that a baby always dresses up as a pumpkin for their first Halloween. It started when my mom found a (fabric) pumpkin trick-or-treat bag and she made it into a comfy Halloween costume for my older brother's first Halloween. Then the rest of us wore the same costume. We even have twins in my family, so my mom found another of the same trick-or-treat bag to make a matching costume. 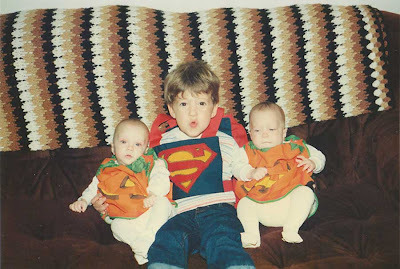 Here's my first Halloween, with my sister and older brother. Yep, I'm a twin; I'm the one on the right.